KNOXVILLE, Tennessee — The Rock usually has scrawling about greek organizations, campus events, political causes or something else that is quickly painted over and forgotten. But today’s art work? Might want to leave that up for a while. This entry was posted in Tennessee football and tagged the Rock on November 23, 2013 by Evan Woodbery. 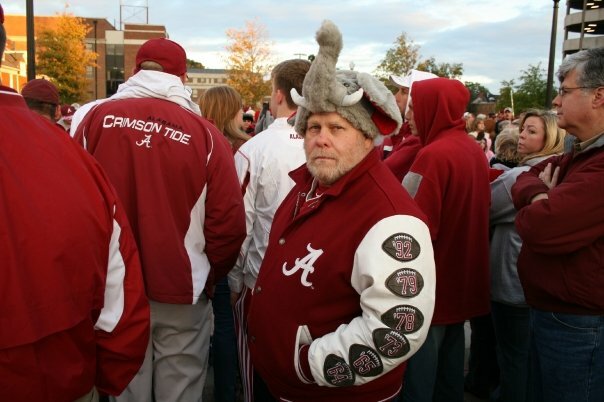 KNOXVILLE, Tennessee — Alabama fans in the student body? Renegade out-of-staters with a scheme to deface Tennessee’s Rock? This guy? Other suspects? We’re not sure who did the deed, but someone apparently got to the Rock last night. I assume it’s been painted over by now, but you never know. It looks like a professional job, what with the stenciling and all. I guess this game is still a rivalry, after all. I’m not sure who to credit for the photo because it’s been retweeted so many times, but I’m going with @DandyAndy110 for now. Let me know anyone else deserves a hat tip. This entry was posted in SEC football, Tennessee football and tagged Alabama Crimson Tide, the Rock on October 23, 2013 by Evan Woodbery.